After the weekend of running and walking (did a sponsored 6 mile walk on Sunday), it was back to the training last night. 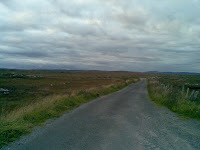 Was not sure where to go but stuck to the old reliable of the Inverin Bogs where the roads are long and very quiet (bar the odd car that flew by me). One thing about that road is you simply can't beat it for scenery, plus the mix of modern life and countryside side by side. 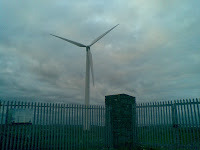 I parked up at the local wind farm, quick stretch and off I went. The evening was ideal for a run, not cold or warm - just a pleasant evening to hit the road and knock out a few miles. I'm starting to enjoy these 5 mile training runs, i don't really feel the discomfort anymore running them - even the inclines on the bog roads are getting easier and hopefully will keep me in good stead for the long miles ahead of me. Its a great feeling of peace running in a place like this, and sometimes think I'm blessed to have this kind of quiet when training. 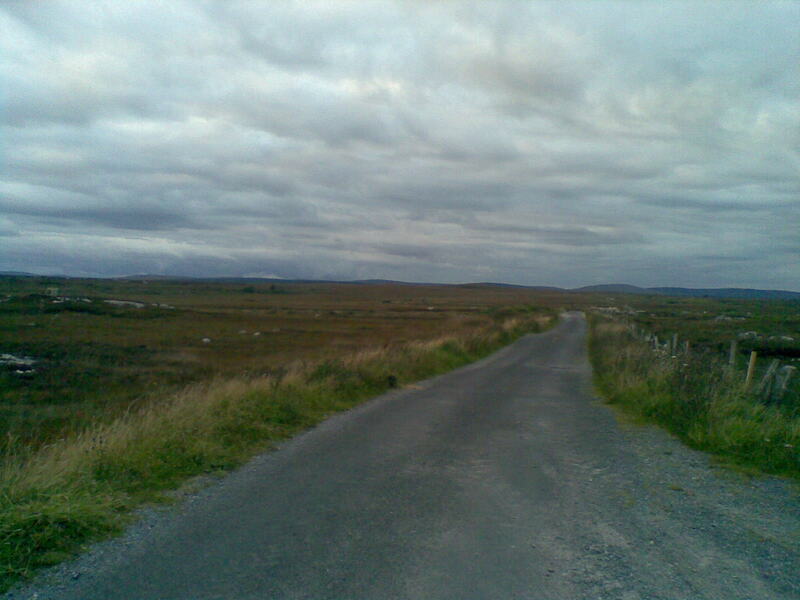 Next up is a 6 mile training run on Thursday in Baile an tSagairt, a serious hill challenge for a novice like myself. So here's hoping that my training is starting to pay off. The 2nd photo shows that you ran through a beautiful landscape. I've just found your running blog through Breandán's blog. Have a nice training! Giorgio, thank you for that. I always feel very lucky when i have places like this to train, very peaceful at the best of times.